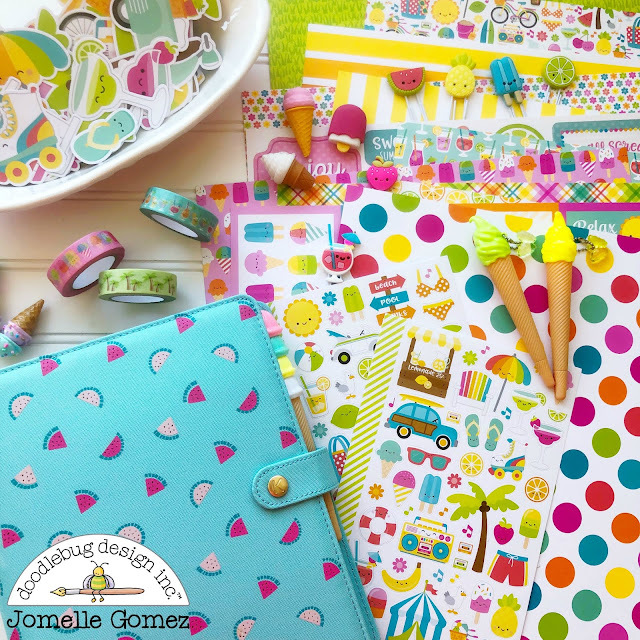 There's just something about this Sweet Summer collection that makes me want to go to the beach and enjoy a refreshing Sangria. The colors are fun and bright and it's perfect for my Summer Planner Set Up. 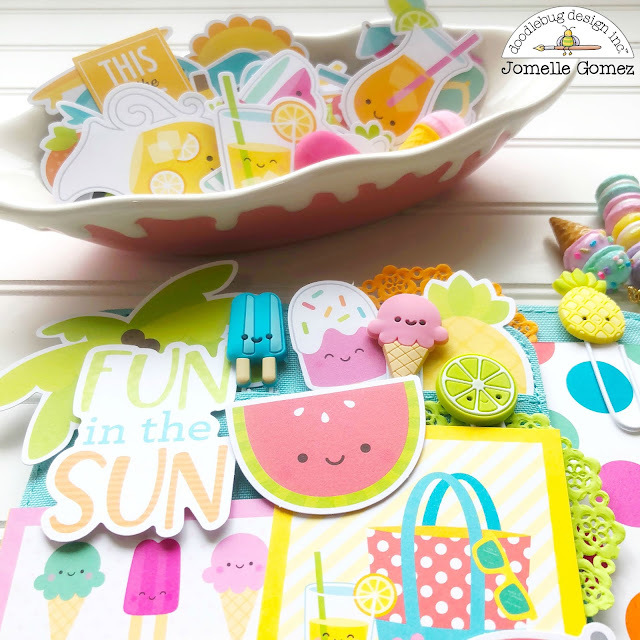 It was so hard choosing which pieces to use from the odds & ends for my Summer Dashboard. After going through all the elements, I finally settled for the bike, palm tree, beach signs, surf board and the seagull. 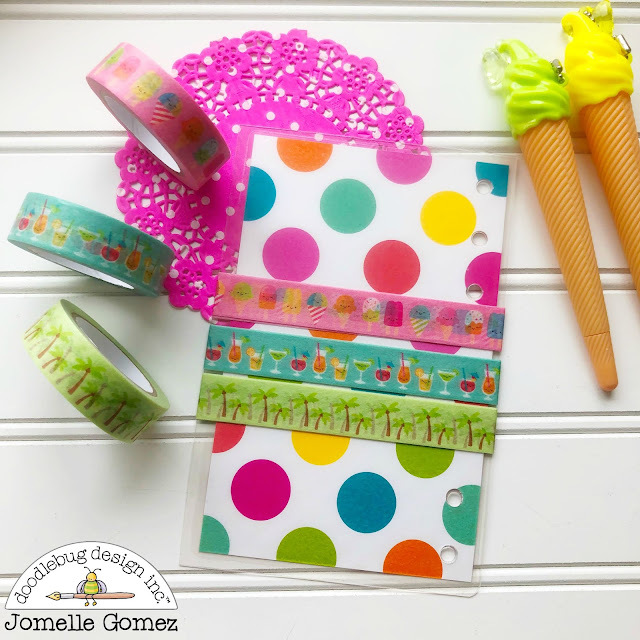 I used fun summer color doilies and layered the pieces. I then used adhesive foam for the seagull and the bike to give them a 3D look. The sprinkles also added a little bit more character and made it look prettier. As you may already know by now, I love decorating my planner pockets with all kinds of goodies. 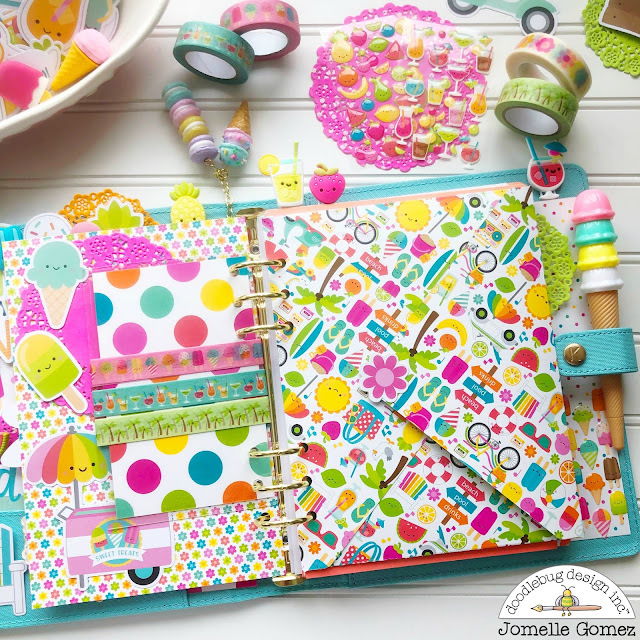 They're not so functional but they are oh so cute when I open my planner, don't you agree? Those jelly clips looks so yummy. 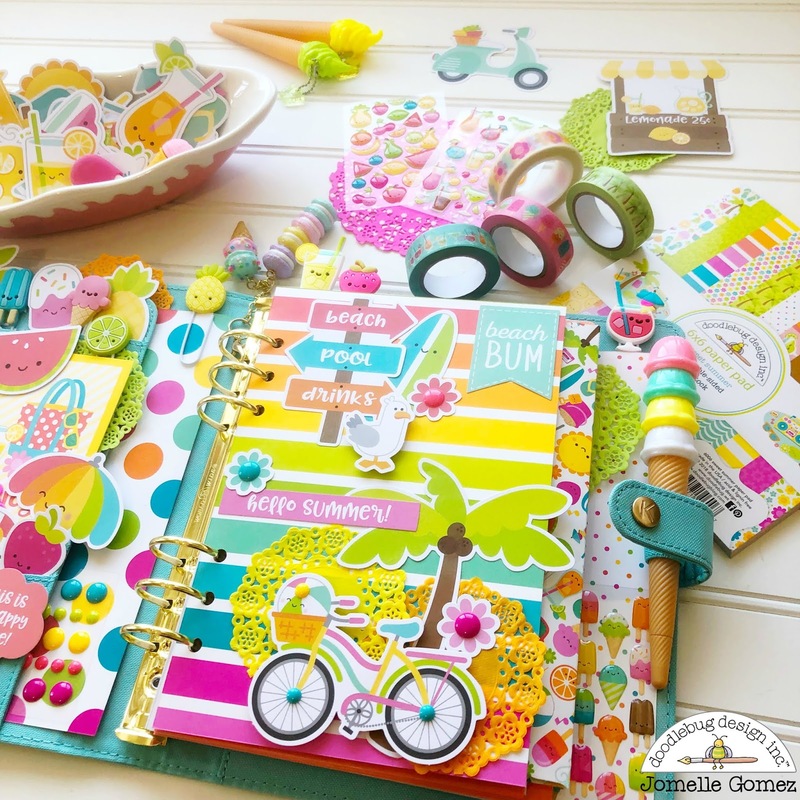 As a planner girl, I was super excited when Doodlebug came out with jelly clips that matches with all the new collections. There are 8 total jelly clips in this collection. They come in 4 jelly clips in one pack. I haven't made an envelope for my planners in a while so I decided to make one for my Summer set up. 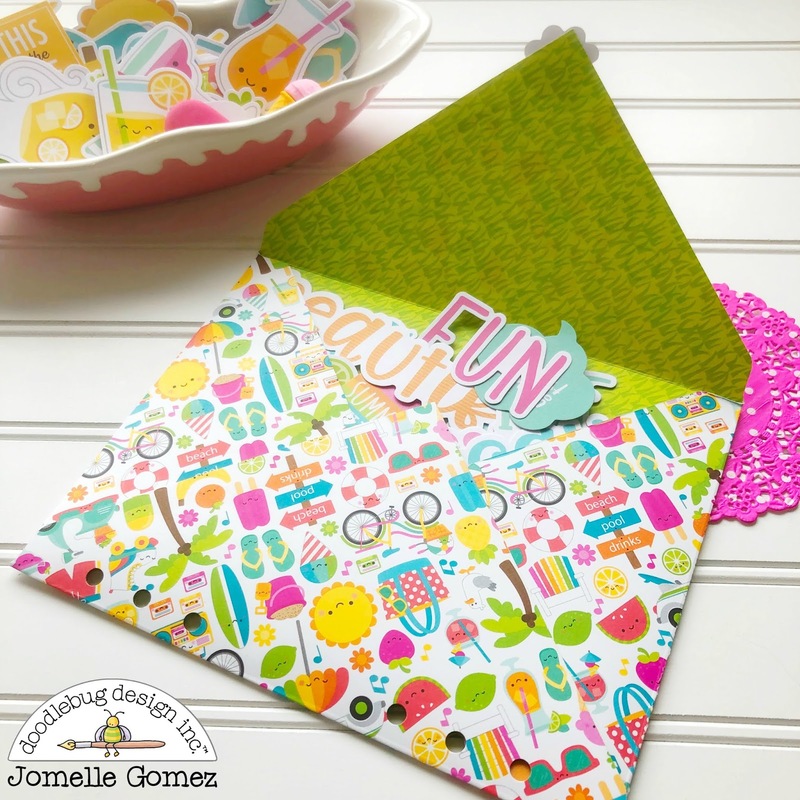 I chose the Summer Fun 12x12 cardstock and I used my Envelope Punch Board to make this. It's very easy to make. I punched holes on the side of the envelope so that I can insert it in my planner. This envelope will hold the odds & ends pieces. All planner girls loves washi tapes. Instead of carrying multiple rolls of washi tapes with me, I laminated a small piece of the patterned paper and I wrapped the washi tapes around maybe 10 times. 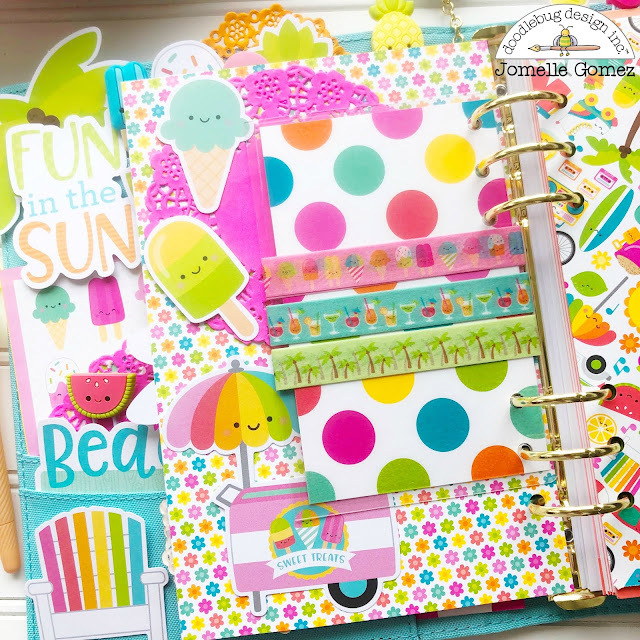 I then added holes on the sides to insert in my planner. I am so ready for Summer and I can't wait to head to the beach. Thank you for stopping by. Love the idea to store the washi!!!! NSD 2018 | SKETCH CHALLENGE!